The crucible of the Renaissance, Florence is packed with art and architectural treasures. You can avoid the inevitable crowds by travelling out of season, but if you are tied to busy times at least lower your stress levels by pre-booking timed entry to the Uffizi. The best time to see David is when the doors of the Galleria dell’Accademia open. You will find it difficult not to fall in love with Florence, the beautiful, romantic and inspiring city built on the banks of the River Arno. 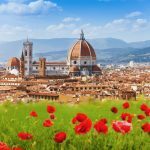 Florence is a great city for simply strolling and taking in the amazing sites and you won’t want to miss Michaelangelo’s famous statue of David and Brunelleschi’s magnificent Duomo. There’s the Uffizi Gallery too, an absolute must for art-lovers with works by Botticelli, Michelangelo and Leonardo da Vinci. We have hand-picked a selection of three- to five-star hotels in Florence. 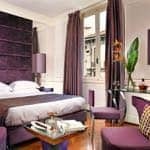 The best, especially for a special occasion, is undoubtedly the stylish Hotel Brunelleschi, just 50 metres from the Duomo. For romance, our top picks are the Grand Hotel Baglioni, with its wonderful rooftop bar and restaurant. 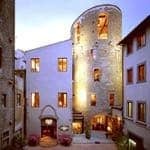 For a cheaper option, we have some charming three-star hotels such as the Hotel Botticelli and Hotel Corona d’Italia which offer particularly good value for money. 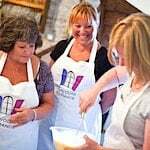 We offer a number of special experiences including guided tours of the city, the Uffizi Gallery or the Accademia, a wine-tasting afternoon in the Chianti countryside and a class in Tuscan cookery for example. Our flexible travel options include high speed rail and self-drive but most of our short break guests fly to Pisa (from a huge number of UK regional airports) and take the train on to Florence – there are also direct flights to Florence airport from Gatwick, London City and Birmingham. All of our city breaks can be combined with a holiday (the northern lakes, Tuscany or the Neapolitan Riviera for example) or with other city breaks such as Rome and Venice. Find out more information about our city breaks to Florence.